design education will look like in the future. • Invitation to the kick-off event at Lake Tegernsee on 15 March 2019. There are few professions that undergo such fast-paced change as that of designers. 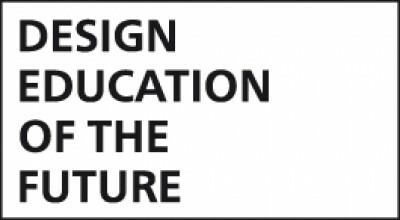 That’s why the iF Design Foundation is dedicated in this and in the coming year to the topic of the “future of design education”. In ten hearings lasting several days, it wants to go around the globe with experts from industry, universities of various disciplines and NGOs to describe and discuss a possible picture of the tasks of the designers of the future and the requirements profile for their training and education. “What we need to do is to look above and beyond the normal and to think about and discuss the future profession of the designer ‘out of the box’ without taking any existing university structures into consideration,” emphasizes Christoph Böninger, Chairman of the Foundation’s Executive Board. A catalog of 80 widely diverse questions based on an international study serves as an inspiration and guideline for the hearings – both developed by Prof. Dr. René Spitz, Professor of Design Science and Communication Management at the Rheinische Fachhochschule Köln (RFH), who is the moderator of the first event in Germany. All further conferences are aligned in close cooperation with the internationally active university organization, Cumulus (International Association of Universities and Colleges of Art, Design and Media in Finland). The first hearing will take place from 13 to 15 March 2019 as part of the Munich Creative Business Week (MCBW) at Lake Tegernsee. At the end of 2019, the findings of all the international hearings and a final conference will be summarized and published in a White Paper. The iF Design Foundation, founded in the spring of 2018, replaces the iF Industrie Forum Design e.V., which operated from 1953 to 2018 (iF e.V.). Its aim is to promote design and its social significance. The board members are Christoph Böninger (Chairman), Susanne Schmidhuber and Prof. Fritz Frenkler. A recapitulation of all the findings of the first hearing will be discussed among the participants and invited guests.